durable coat with highest resistance to atmospheric and biological damage. 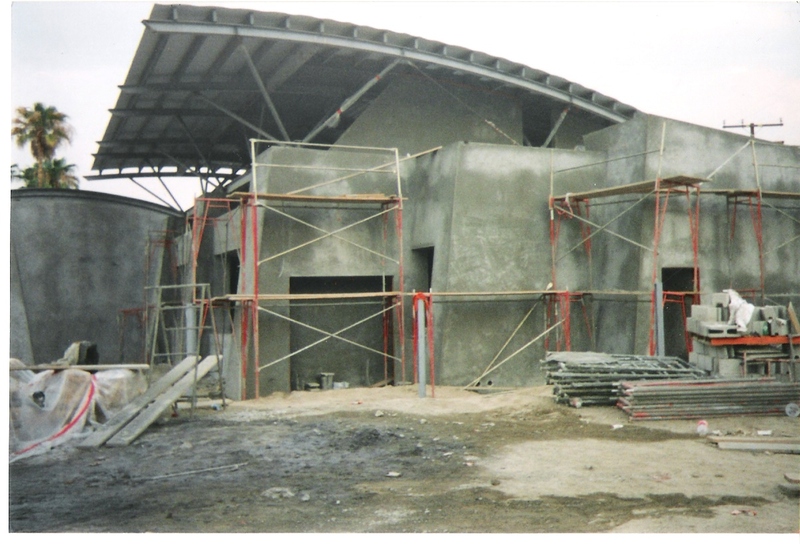 KF-H is applicable by brush or trowel in dry and damp environments. resistance. KF-H waterproofs both the negative and positive sides of surfaces. structures in harsh industrial environments. 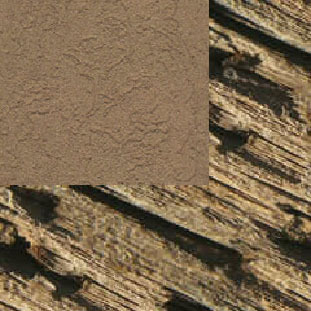 KF-H can be used on rotten and crumbled wood and plywood in damp conditions. Effective for web-cracked ceilings, columns and beams without preliminary patching. Provides passivation of exposed nails, bolts, and anchors from rusting. of 4 to 1 by volumes. Magnified detail of the rotten wooden beam. Resurfacing of masonry wall and rotten wooden beam by KF-H with appropriate decorative techniques. 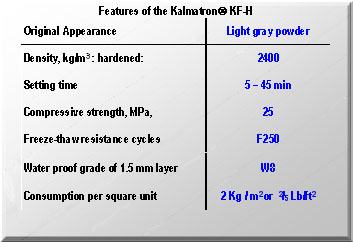 KALMATRON® KF-H is the most economical protective finishing and patching material. Preparation is minimal and the application process is simple. Highly adhesive to contaminated structures. Well known as a coating for rusted anchors. 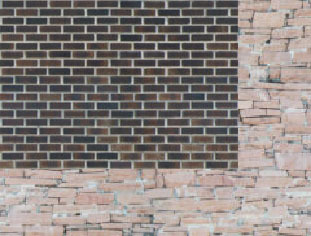 The best for preservation of abandoned masonry and wooden structures. Ideal for the retail market and for housing and city maintenance needs.